Anyone who pre-purchased the Assassin's Creed: Unity season pass will instead get their choice of a free Ubisoft game. 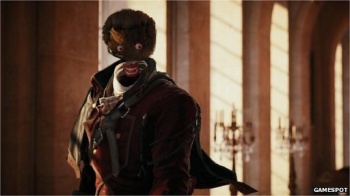 In a surprise development, Ubisoft has announced that the planned Assassin's Creed: Unity season pass has been cancelled, removed from online stores, and that anyone who pre-purchased it will instead have to choose between a variety of Ubisoft titles as compensation. Furthermore, the first (and evidently, only) planned DLC pack for the title, Dead Kings, will be made available as a free download for all owners of the game. "To show our appreciation for your continued support, we're making the upcoming Assassin's Creed Unity Dead Kings DLC free for everyone. For Season Pass holders, we will also offer the choice of one additional game from a selection of Ubisoft titles for free. More details on the offer for Season Pass holders can be found here: AC Unity FAQ," said Ubisoft in a press release. While there will be no further DLC for Unity, Season Pass holders will continue to have access to a variety of additional content, including Assassin's Creed Chronicles: China. "Unfortunately, at launch, the overall quality of the game was diminished by bugs and unexpected technical issues. I want to sincerely apologize on behalf of Ubisoft and the entire Assassin's Creed team. These problems took away from your enjoyment of the game, and kept many of you from experiencing the game at its fullest potential," Ubisoft added in its statement. Considering all the bad press and generally underwhelming fan reaction Ubisoft is receiving for the game, this looks like a clear case of the developer trying to distance itself from the title as quickly as possible, by dropping all development of future content and instead focusing on whatever Assassin's Creed title is next in the pipeline.